Thinking of tiny home living? If you are considering a tiny house after watching the TV shows, such as Tiny House Hunters or Tiny House, Big Living, then you might think that downsizing into tiny home living is a way to guaranteed happiness, with less stress, saving tons of money, and happily traveling the country whenever and wherever you want. I’ve spent six months downsizing my life and living in a tiny home – both parked in one place for several months at a time, and also traveling the country for a few months, too. My house is 280 square feet (one bedroom, one bathroom) – about twice as big as some of the smallest tiny houses and a little less than half of the size of the largest tiny houses on the market. Okay, my house is actually an RV, but we bought it because it looked like a tiny home inside and would function like one for our purpose. There’s not much difference between the concept of RV living and tiny home living, when it comes down to the nitty gritty details. I know there are many benefits, but……. There are also many pitfalls that NO ONE ever talks about. Tiny house living isn’t for everyone, but it isn’t always bad, either. I’m not arguing for or against it. How do you intend to live in your tiny home? Do you want to stay in one place, or do you intend to move your tiny home and travel? 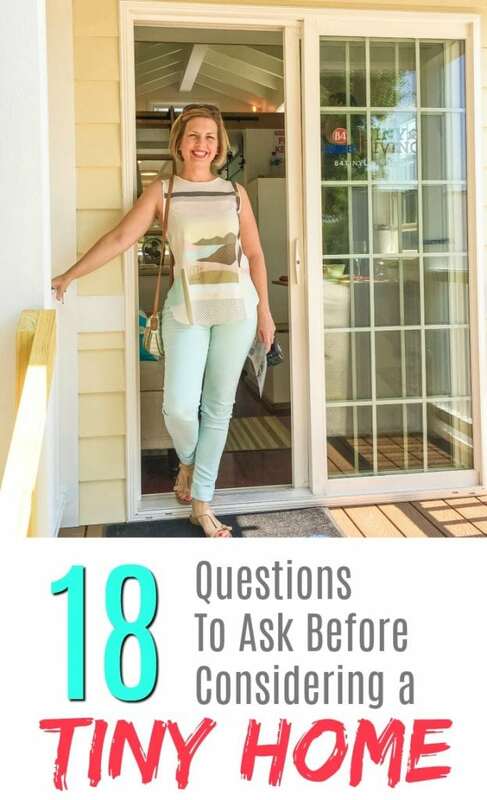 A lot of people like the idea of downsizing into a tiny home so that they have the flexibility of being able to move when and where they want at any time, but there are considerations that need to be seriously addressed before assuming your home will be able to move as much as you want to. 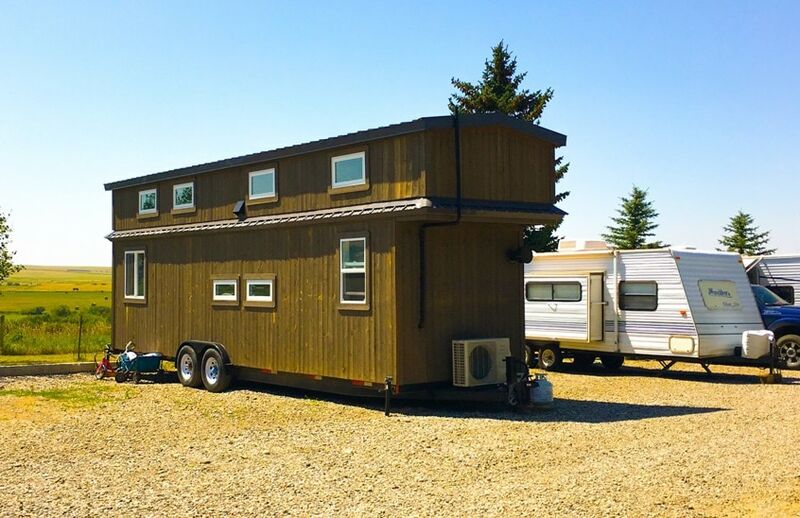 Moving a tiny home isn’t as easy as just hooking it up to your car and driving down the highway. First of all, if moving your tiny home is an option, do you own a vehicle that can move it? Do you have a trailer, the hitch package on your vehicle, etc? Is your vehicle rated to pull the weight of your tiny home and all of the belongings inside? Need tiny home inspiration? You MUST check out these amazing books about tiny houses! Maybe you intend on hiring someone to move the tiny home when you want a change of location. Do you know how much it will be to hire a driver, pay for their time and mileage, and their insurance coverage? Costs will depend on distance moved and other factors, but four figures would likely be the starting point. When and if you do move it, are you moving your tiny home to somebody’s land or yard, or are you thinking of staying in RV parks? Do you own land? Or know someone who does? If you own land, are there restrictions? If you are planning on buying land, how much will it cost? If you are planning on staying on land owned by other people, whether vast acreage or a backyard, there are LOTS of considerations to take into account. First, can you even bring your tiny home down the road? Will it work -whether it’s a rough dirt road or a narrow passage? Second, can you maneuver into the space one there? Narrow driveways, tight spaces, corners, low lying power poles and bridges – these are all things that need to be taken into consideration before assuming you can stay for free somewhere. On top of local codes, ordinances, HOA rules, etc. Third, what about hookups when you get to the land or backyard you are planning on staying at? Is there water to supply your needs for cooking, bathing, flushing the toilet, etc? Will you have power connection if you don’t have off-the grid power? Planning on running a generator? Are there noise restrictions? What about sewer? Composting toilets (see below) allow you more flexibility in this area, but you’ve still got to dump grey water. RV parks offer more easy options, as far as ease of access and hookups available. Yet, many RV parks don’t seem to be as open to tiny homes coming through. That’s not to say that you won’t be welcome, but you need to check ahead of time. I’ve only seen one tiny home in an RV park, and it was pretty clear they were there long-term, not a week or so. Also, keep in mind that you’ve got to pay a nightly rate at RV parks, which increases your cost of living. These rates can go from about $30 to close to $100 a night depending on location, type of site you get, time of year, etc. Do You Know What a Composting Toilet Is – Or How to Empty It? Composting toilets aren’t like traditional sewer systems. You don’t have a pipe from the toilet going into the ground and you never have to touch it or deal with it. And you’re probably not going to be hiring a plumber to fix any problems. The pee and the poop are going into a composting toilet – and you’ve got to manually remove it. There’s no nice way to say it. The bigger your family, the more frequently you’re going to need to do it. BTW: Have a normal toilet system but your tiny home is on a trailer and isn’t on a foundation on the ground? Chances are you’re still going to be dealing with the septic system and cleaning out the pipes, dumping tanks, etc. Be prepared. Why are you moving into a tiny home? Owning a tiny home, compared to a regular sticks-and-bricks home, can be cost-saving, yes. There can also be a lot of hidden costs that make tiny home living more expensive than you might have anticipated, as well. Tiny homes cost less than traditional homes, it’s true. Yet the costs of tiny homes are climbing, and some of them are just silly high prices for as little as you are getting. Financing for a tiny home isn’t as cheap as home financing. There are loans for tiny homes, but they tend to have higher interest rates than a mortgage loan. The rates are on par with vehicle, boat, and RV financing rates. 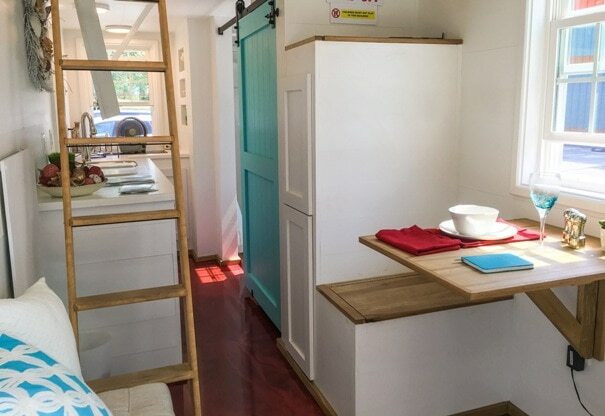 The cost of the actual tiny home is just one part of the puzzle. You still need to have land to park it on. If you own the land – great! If you don’t own land, this is where the costs can start to increase. If you don’t have a benevolent friend who is willing to give you a spot of their land for free, then you’ll need to rent space from somewhere. So, really, you are paying for rent as well as paying for a mortgage of your tiny home if you didn’t pay for it in cash. Transportation costs can be a chunk of change (see above). Storage is going to be an issue. If you can downsize your entire life to fit into your tiny home for all seasons, that would be great. But many people honestly can’t. Think about it. Live in a place where it snows or ices? Where are you going to store the shovel, snow boots, and other safety items you need for the cold? Love the great outdoors? Do you have enough room for kayaks, bikes, hiking essentials, backpacks, outdoor gear, etc? Got kids? Is there enough room for their toys, clothes, homework essentials, and other gadgets that come along with raising children? If the answer is no, and you don’t have a family member willing to give you a part of their basement for storage for free, then you’ve got to pay for a storage unit. It’s more common than you think among tiny home dwellers, and it’s just another expense to add onto the cost of living each month. 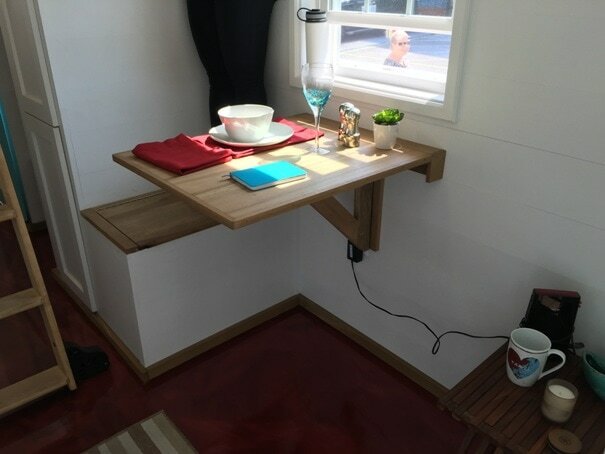 The option to be mobile when and wherever you want is one of the most alluring parts of tiny home living. Just be sure you know your options for when you want to move (see above). Also, if you’ve got stuff in storage – whether a unit or at family’s house – you’re going to need to be able to transport and bring that stuff with you if it’s something that you will require for living. Lower bills and less stuff to take care of definitely reduces your stress level. If you are staying in the same stressful job while downsizing, though, or still around toxic family members, don’t expect a tiny home to be the miracle for happier living. You can only fit so much into a tiny home, that’s for sure. Yet you can still “lose” stuff and accumulate way more than you need. We only had two food cabinets and still couldn’t find what we were looking for. I had three times as many clothes in my closets as I needed. Our “basement” storage area was full of stuff that we never used, other than the laundry baskets. In other words, smaller spaces don’t’ immediately mean a more stream-lined way of living; There is just a quicker limit that you hit in terms of viable storage than in a larger house. It’s a choice you have to make daily, whether you’re living in a sticks-and-bricks house or a tiny home. Yes, smaller footprints are more eco-friendly. There is no arguing that. Transportation choices, what you eat, the types of clothes that you wear and the way you invest your money all can have eco-friendly benefits, too. Choose whatever works best in your situation. Unfortunately, I found out that my particular tiny home situation was NOT eco-friendly when it came to chemical exposures. Here’s the story – and what I had to do. What about bathroom noises and smells? It’s one of those things that nobody likes to talk about, but once you’re living in a tiny home, you’ll find out quick enough that every single noise you make – whatever it is – will likely be heard throughout the entire house. Odors, too. So if you’re the type of family that likes to sneak down to a guest bathroom to do “Number 2,” keep in mind that every day there will be no reprieve from bodily functions and noises coming from you, your partner or your kids. If you’ve got someone with a particularly toxic digestive system, watch out! What Kind of Hobbies Make You Happy? It’s the mantra of everyone moving into a tiny home – “I’ll have more time and money to do the things that I love to do.” But WHAT do you love to do? If you want to be outdoors more and travel, then great! If your hobbies turn more towards activities that use “stuff,” though, such as scrapbooking, arts and crafts, or woodworking, you might find your hobby more stressful and not as fun if you don’t have any space to do it. Be prepared to possibly modify your hobby or give it up if you don’t have a garage, craft room, or large chunk of the dining room table to utilize anymore. What Codes or Ordinances Exist Where You Want to Live? 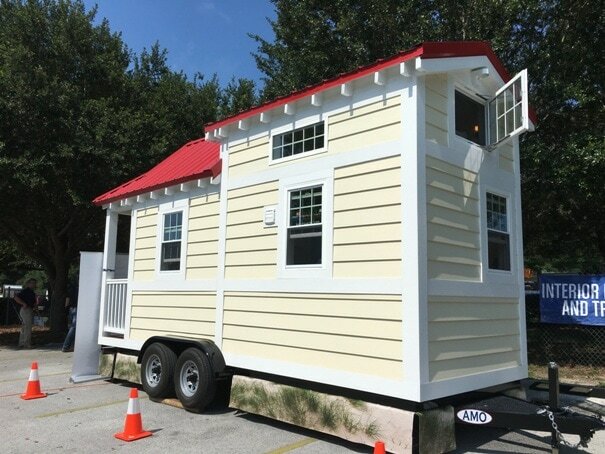 If you are buying a tiny home from a builder or seller in your area, they should be able to tell you about any restrictions or prohibitions regarding tiny homes being parked on land, such as whether or not you will need to move the home off of the land within a certain time frame. Buying from outside of your area? Be sure to find out if there are any laws or regulations concerning your tiny home before purchasing. How Are You Going to Finance a Tiny Home? 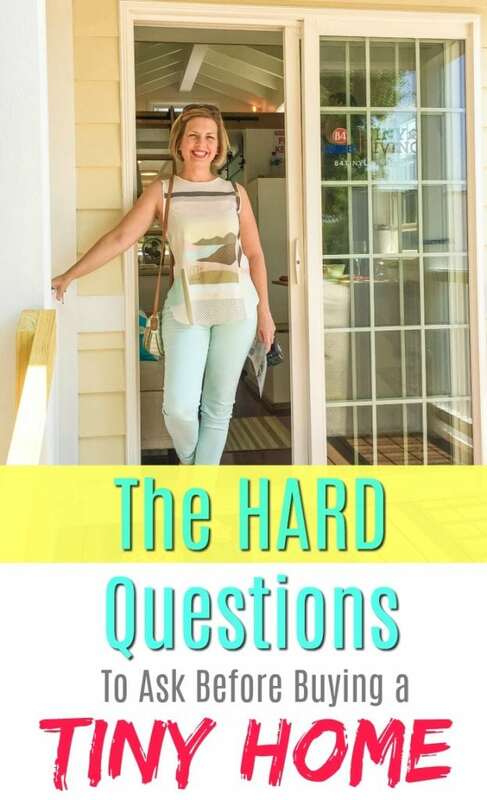 Financing a home that is built on a trailer and not hooked up to septic lines like normal sticks-and-bricks houses causes banks to have their heads spinning. You are not going to walk into every bank and be able to apply for a mortgage to finance a tiny home. This home improvement store sells tiny homes already assembled. Finance through them. It’s still a new and emerging type of living, so there are banks that are adapting, but you might find the financing situation a bit more challenging than you were thinking. Want some easy ways to save money? Check out these painless ways to put hundreds or thousands of dollars towards your budget. 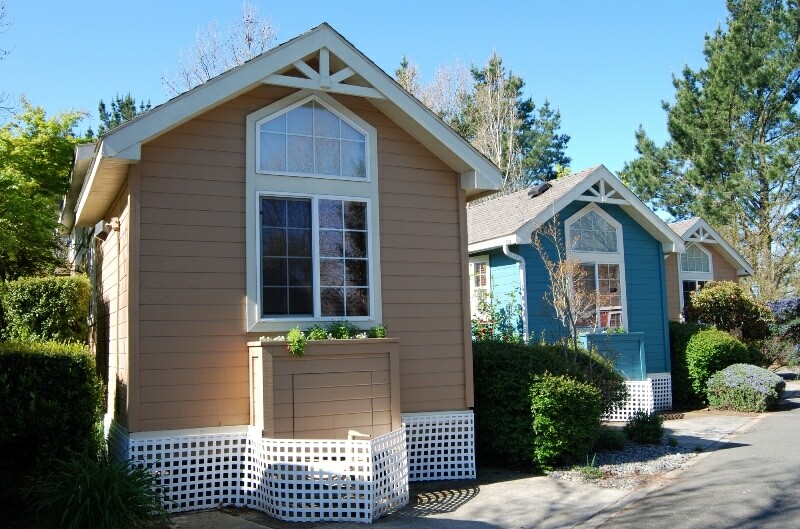 Online lenders offer tiny home financing, such as LightStream, a division of SunTrust bank. Tiny home manufacturers also offer financing frequently, too. 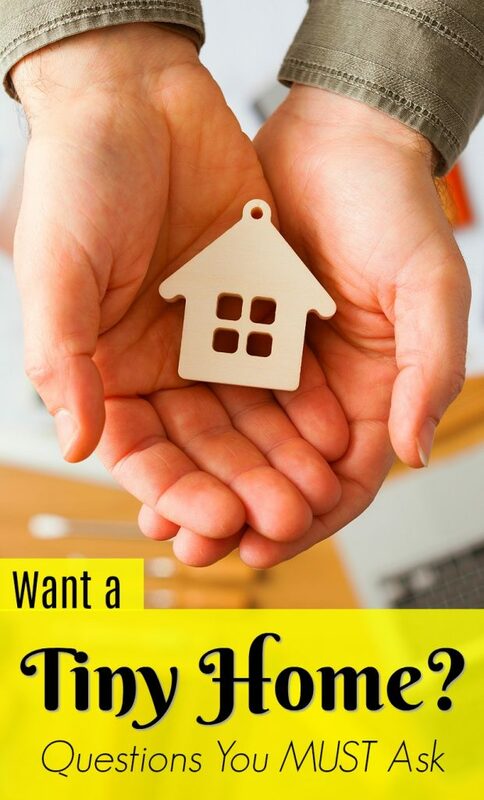 If you are selling your home to buy your tiny home, you will need to have perfect timing in the transaction or have a place to stay in the interim between getting cash from your home and paying for a tiny home. 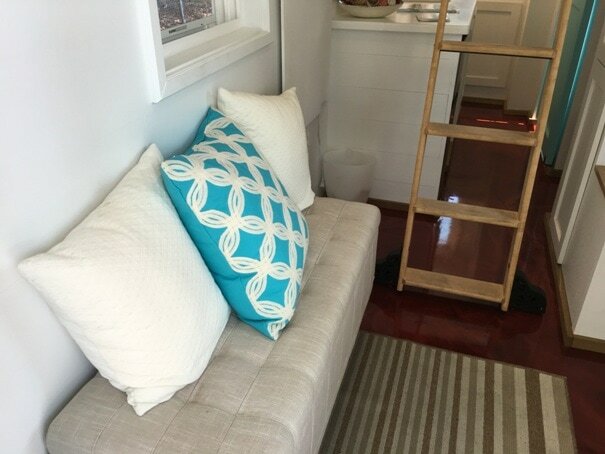 What is the Image That You Have in Mind for Tiny Home Living? If you are dreaming of total solitude being surrounded by nature, it is possible. But you better have the land or know where you are going to be parking it. Many tiny home communities have homes closely situated together (no 2-acre front yard there) or tiny homes are tucked into someone’s backyard by the back fence bordering someone else’s property. Every situation is going to be different, so realize the image portrayed isn’t always going to be what you get in the end. What Temperature are You Going to be Living in? Heating and cooling are easy in a tiny home. You likely won’t have to worry about the ability to heat or cool your home. It’s just the COST of doing so. Tiny homes might not have as much insulation compared to sticks-and-bricks houses. So if you’re in below-freezing temperatures, using propane to heat your home, it’s going to take a LOT of gas and you’re going to be paying a fortune to keep it warm. If you will be living in extreme temperatures, or just normal winter temps for months, investigate how much insulation your tiny home has, talk to your builder or seller about concerns, and ask for numbers of how much their heating and cooling costs are throughout the year in all seasons. Do you have a washer or dryer? How many clothes can you ACTUALLY fit in one if you do? How long will it take you to do your laundry given the size of the equipment? If no washer or dryer, where will you do all of your laundry? How much will it cost to pay to do it somewhere else? Is there plenty of room to store food? Sounds silly, but if you don’t want to be going to the grocery store or farmers market every day or two, you will need plenty of pantry and storage space, even in the refrigerator. Can everyone fit in the shower? Does someone have to be hunched over under the water stream to rinse their hair? Is that acceptable for as long as you want to live there? Do all of the occupants fit inside every aspect of the home? Seriously, whether it’s a height or width issue, can everyone fit inside the smaller-than-normal doors, bathroom, crawl up the stairs, fit comfortably in bed, etc.? Is aging a concern – will an occupant be getting older and possibly not be able to live in the home? What about “adult play time?” Might not be a concern for everyone, but if it’s something that you enjoy – or hope to enjoy – how is that going to work? Especially in a loft. Just sayin’. Houses on trailers can have some motion and sway inside – like when someone is toweling off in the bathroom or changes position in bed or in a strong wind. It’s kind of like living on a cruise ship. Can you handle some slight movement of the house every now and then? Will it annoy you? Got small children? 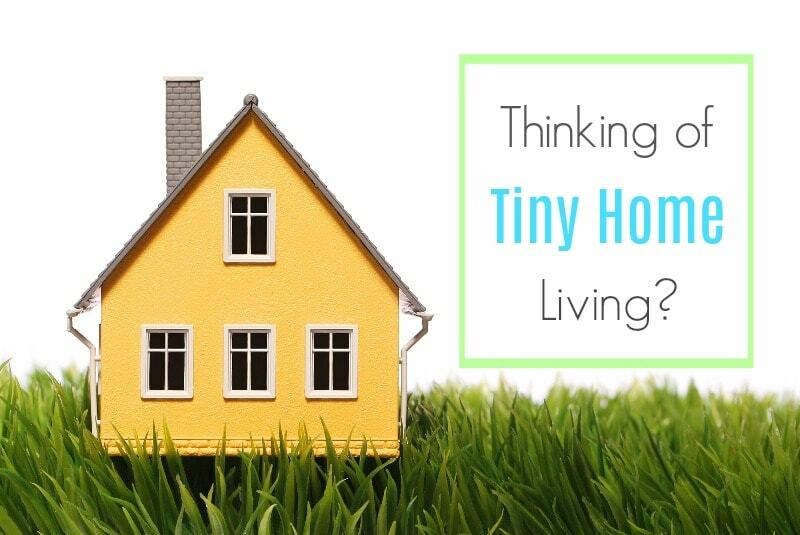 Will the tiny home be able to accommodate them as they grow? Will they fit into their beds, will they have enough room for their objects and sporting equipment? If you’re sleeping as a family of 4 in the master bedroom now, what will happen when the kids are pre-teen age? Snoring – does someone do it? Because there is no escaping the snoring noise all night long in a tiny home. What a great article for all those people that are thinking about making the switch. I think it’s great that you are being honest and throwing all these questions out there for people to consider. Thanks so much! Yes, I’m frustrated that downsizing and giving up everything has been so glamorized and the answer to everything based on TV shows and YouTube channels. For many, it’s not the answer and would only be making them more miserable after they’ve given up everything that they loved. It’s great for some, not great for others. Not an easy choice to be taken lightly.